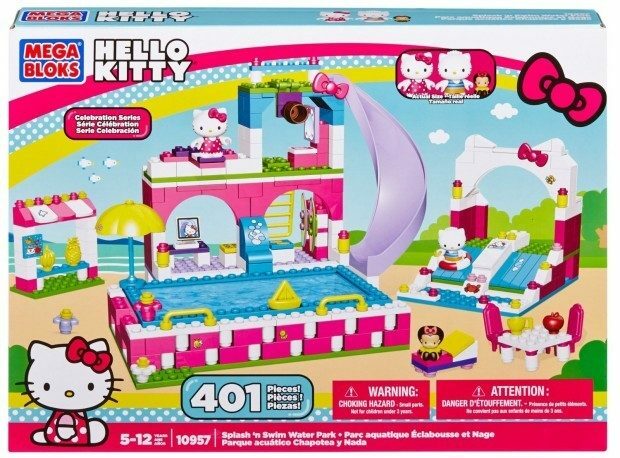 Head over to Amazon to order the Mega Bloks Hello Kitty Splash N’ Swim Water Park Only $14.99! (reg. $30!) This is the lowest price Amazon has carried this! Shipping is FREE with Prime or on orders of $35+. Don’t have Prime? Try a 30 day FREE trial! Combine with other Hello Kitty buildable play sets by Mega Blokes to have all kinds of fun adventures with Hello Kitty and her friends!